Churchill Cann (1944 – 2016) painted for many years, influenced by the first generation of artists that established the Warmun contemporary art movement. His precise textures, lucid compositions of country, haunting mystery and the gravity of marginalized histories are marks of confidence and surety. In a 2012 interview, Mr. Cann was asked how he first started painting. His initial response led him to childhood, when he’d watch his uncle and grandfather make things. Of his uncle, Cann said, ‘Whatever broke, he’d renew ‘em.’ The act of painting is akin to the act (and memory) of making things – of heating horse shoes over a fire, bashing them into shape with a rock, working with sugarbag wax, straightening bamboo spears and preparing kangaroo sinew. Mr. Cann was a very serious and focused practitioner at work, yet his character is playful to the bone. 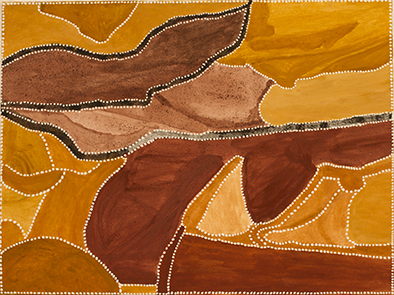 He entitled a 2013 solo show at William Mora Galleries Joolany Wariwoony – Cheeky Dog. This name is based on his Dreaming the Jarrinyin; a kind of devil dog described by Mr. Cann as having ‘a long neck like a giraffe’. 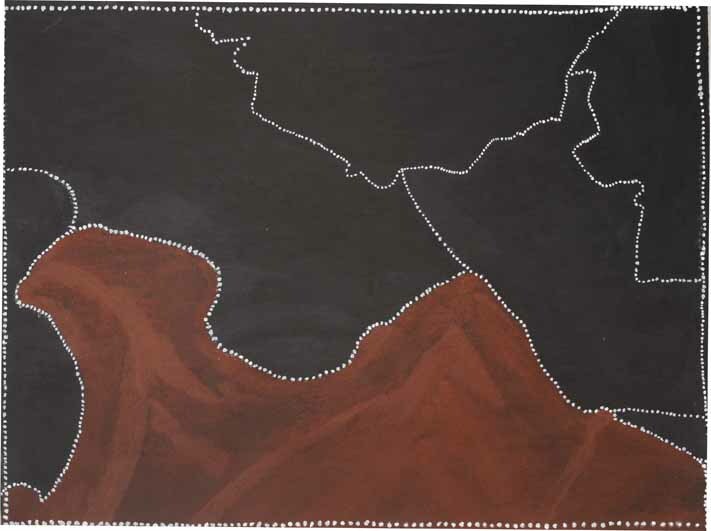 He was the winner of the 2013 WA Indigenous Artist Award at the Art Gallery of Western Australia.